Why do the Leavers think it is OK to abuse people that disagree with them? Some of you may have seen this photograph of World War One soldiers before. Yesterday a Brexiteer sent my wife a version of it disfigured with a speech bubble emanating from the soldier in the centre of the photograph. 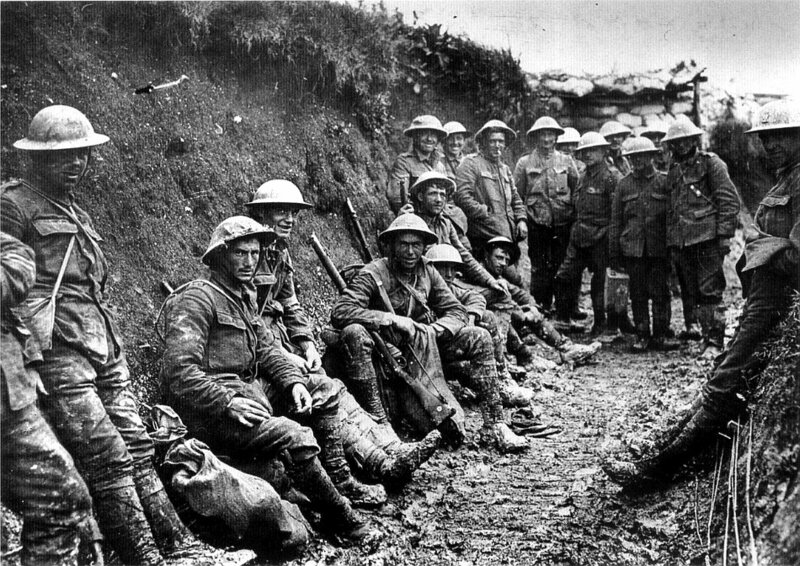 World War One British Soldiers. The speech bubble said “So, are you telling me that 100 years from now, our descendants are going to hand Britain over to the Germans without lifting a finger??? “. The blatant racism & xenophobia is bad enough but hijacking the sacrifice of past generations is despicable. Grahame Pigney – a member of one of the SY2E – Remain in the EU groups. 1 Response to Why do the Leavers think it is OK to abuse people that disagree with them?